Colts owner Jim Irsay remains optimistic he’ll be able to lock up quarterback Peyton Manning to a long-term deal once the NFL’s lockout is lifted according to Mike Chappell of the Indianapolis Star. If not, the team will rely on the “exclusive franchise” tag to retain the league’s only four-time MVP for the foreseeable future. But over the long haul, that string of escalating one-year contracts promises to be more expensive than any multiyear contract would be. 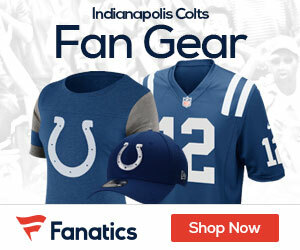 The franchise tag for 2011 will pay Manning $23.1 million. Current provisions call for a 20 percent increase each season. That computes to $27.72 million in 2012, $33.264 million in 2013 and $39.9 million in 2014. Manning’s “take” as a four-year franchise player: $124 million, or an average of $31 million a season. 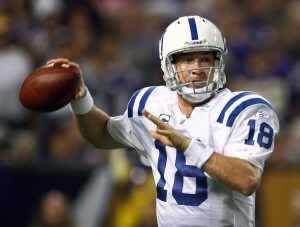 During this week’s owners meetings, Irsay reiterated his commitment to signing Manning, 35, to a long-term contract. “I’m still confident we can get (it) done,” Irsay said. “And I think we’ve probably added to our proposal to him with our first two draft picks, both really great offensive linemen (Anthony Castonzo and Ben Ijalana).